Red and white hues together, presented on a graceful stem, will be sure to evoke a gasp of joy. Well, get ready for triple the pleasure, because Norman's Orchids will hand-select a vigorous specimen plant that has at least 3 bloom spikes. 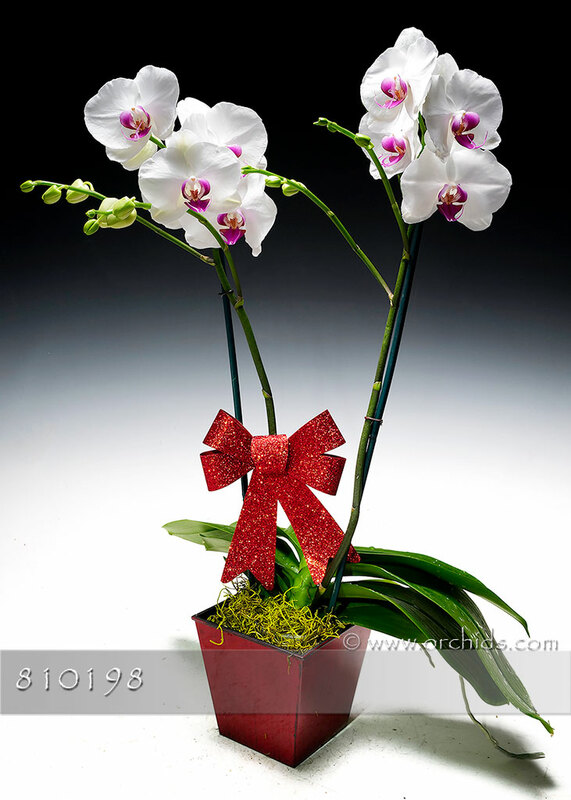 Your orchid is shipped in a square bamboo basket. 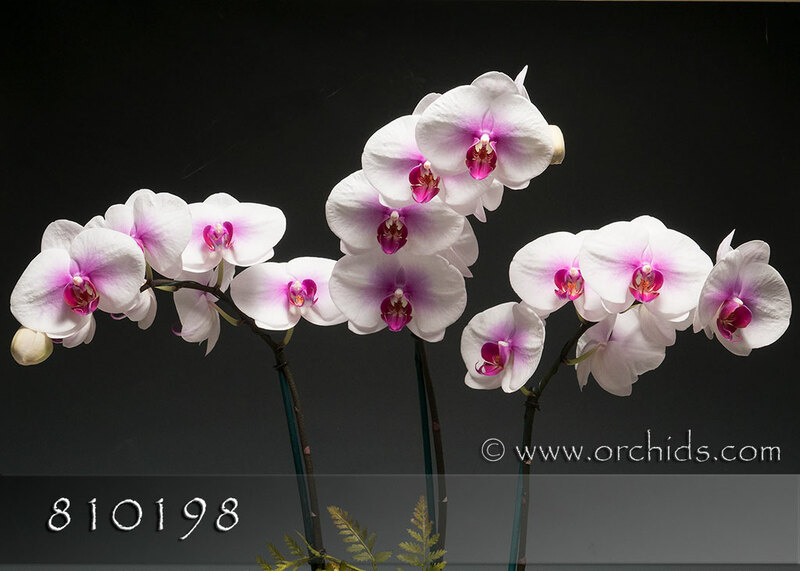 All of our orchids come with care instructions and stand 24-30 inches tall.